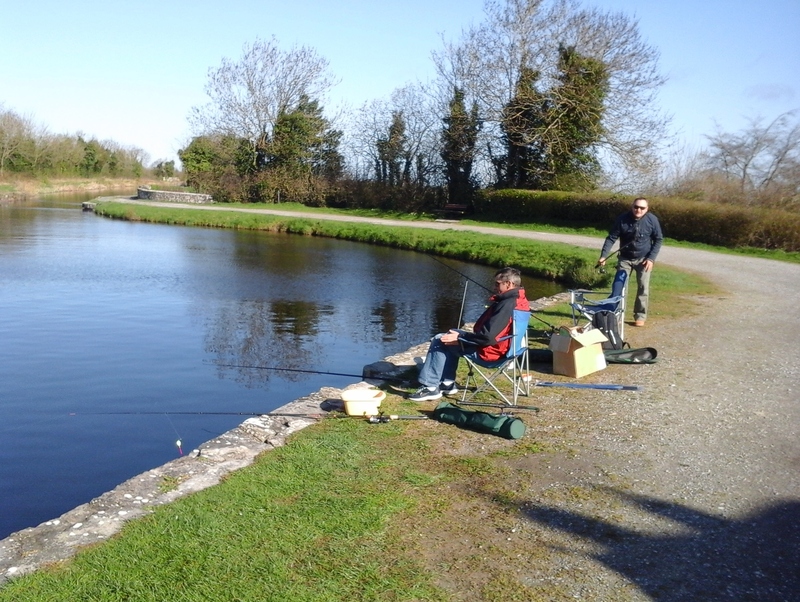 Fishing is a major pastime on the Royal Canal. In addition to providing many hours of pleasure for the amature angler it is also host to a number of nationally important match fishing events every year. On the eastern section of the canal the hot spot for these events is between Ferns Lock (Lock 17) and Ballasport Bridge (18th Lock) which is 30 km long. Features: Roach are easily identified by their silver colour, red fins and red eyes. Baits: Maggots, casters, bread, paste, sweetcorn, worms. Features: Adult Bream are recognised by their bronze colour, black fins and protruding upper jaw, while young bream or ‘skimmers’ differ from adults due to their silver colouring. Baits: Maggots, worms, casters, sweetcorn, bread, paste. Features: distinguishing red eyes and are a dark olive or blackish colour with rounded fins and an almost unforked tail. Baits: Maggots, casters, sweetcorn, bread, paste, worms, mini boilies. Features: A rudd can be identified by their golden green hue, scarlet fins and protruding lower jaw. Baits: Maggots, bread, casters, sweetcorn, paste, worms, flies. Features: easily identified by the olive green colour and distinctive vertical black stripes on the flanks and reddish colour fins. The fins have sharp spines. Baits: Worms, maggots, casters, small dead fish and a range of spanning baits. Size: Pike weigh up to 20 kg (44 lb) and can grow up to 1.3 m. Females are normally larger. Features: Streamlined olive green, torpedo shaped body & white belly. They have a large broad mouth with rows of backward pointing sharp teeth. Baits: Range of deadbaits, spinners and plugs including jerkbaits, flies.